AIRSTREAM THP is a new generation, 2 cell-cycle alternating mattress that retains all the features of AIRSTREAM2 but with an independent heel zone that provides pressure elimination therapy using Airwave Technology*. The separate, independently managed heel zone actually provides the complete elimination of interface pressures for about 40% of the 10 minute cycle by vacuum assisted deflation of the foot end air-cells. AIRSTREAM THP has been specifically designed to prevent pressure injuries on the heels and to accelerate the healing of existing pressure injuries in the lower limbs. 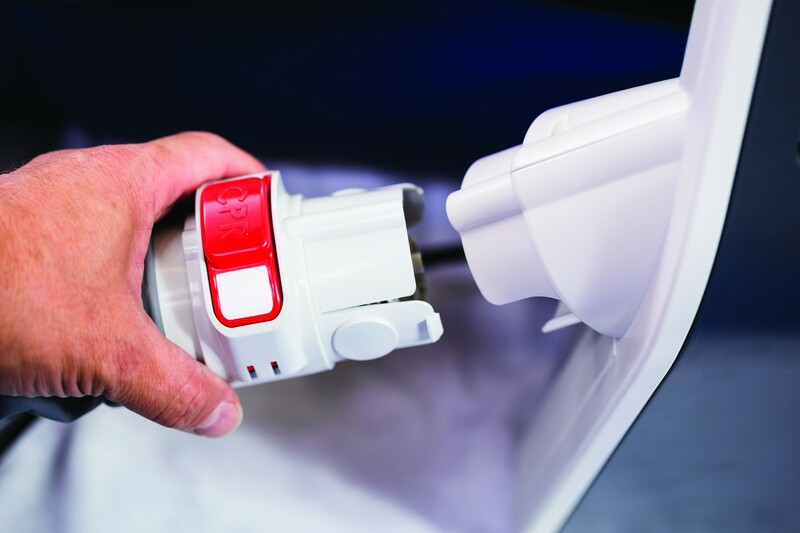 AIRSTREAM THP uses high speed solenoid technology to provide the rapid changes in airflow required to stimulate reactive hyperaemia in deep tissues surrounding bony prominences such as the sacrum and heels. All features of AIRSTREAM2 are retained in managing the mattress zone while complete extraction of air by vacuum assisted deflation from alternate cells of the heel zone provides complete pressure relief for the very vulnerable tissue of the heels. The independent heel zone does not require the limb to be elevated and helps overcomes issues that can occur when the heels are left unsupported and weight is concentrated on the Achilles tendon. 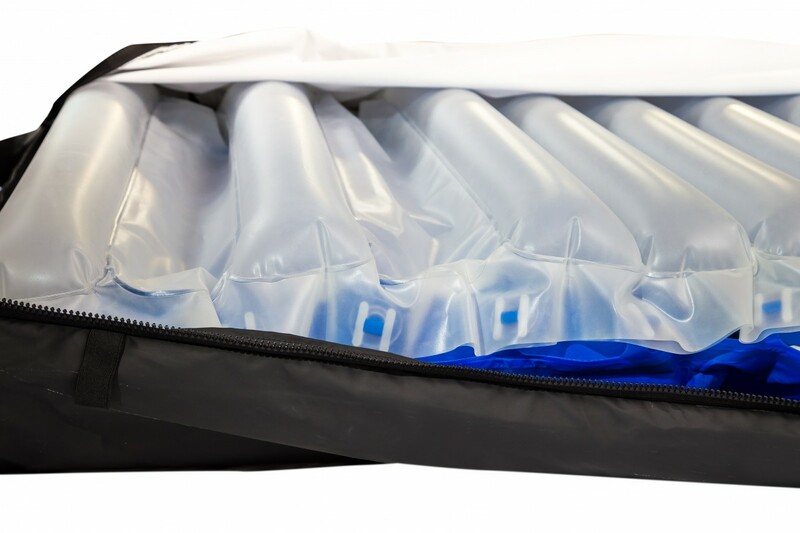 A permanently inflated base layer of longitudinally placed, conjoined air-cells contains a large volume of air at low pressure which enhances patient comfort and makes “bottoming out” impossible even with a patient sitting up in bed. 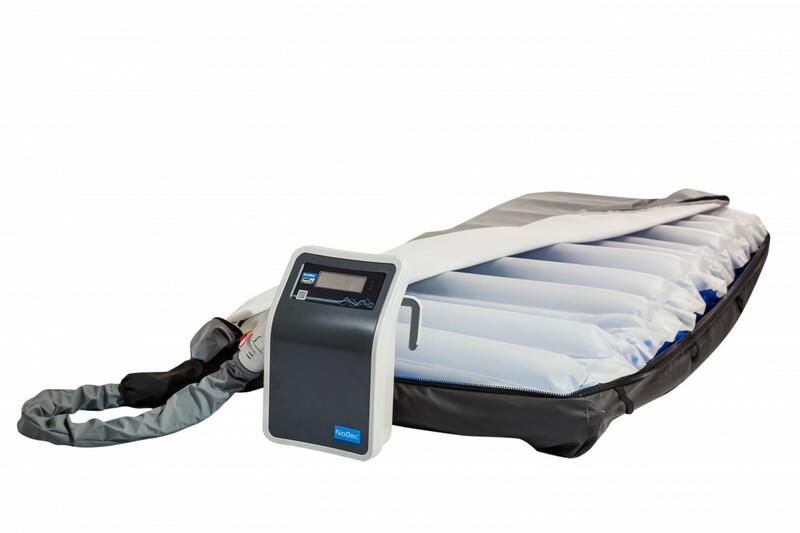 Two extra-large air-cells along each side of the base layer provide a firm and stable edge to the mattress and protect patients from falls as they transfer out of bed to trolley or chair.